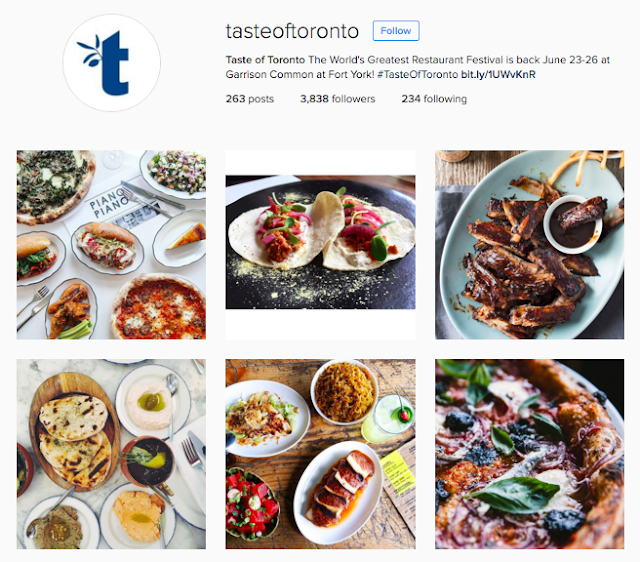 It's deliciously amazing that Toronto now has the rep for being a foodie haven. Over the years, we have certainly cooked up some great culinary events... but my all-time favorite is still Taste of Toronto. It's hosted at the Garrison Common at Fort York right at the beginning of summer, June 23-26. This will be it's 3rd year and it keeps getting bigger and better. Celebrity chef Chuck Hughes kicks off opening night on Thursday, leading a live demonstration of gastronomic delights at the Taste Theatre. There will be hands-on cooking lessons and demos of fan-favourite recipes in the Metro Master Class throughout the 4 day festival. On Friday afternoon, Rob Bragagnolo of Carver leads the class to make his famous Chorizo & Ginger Steamed Blue Mussels with cava and lemongrass and Trevor Lui of Kanpai dishes “Wontons Made Easy” on Saturday night. If intimate conversations about food is your thing, take a seat at the Toronto Life Chef’s Table. Java lover? Sip the newest Grand Cru at the Nespresso Boutique Bar and shop at the Taste Marketplace filled with over 80 artisan and premium producers and brands. Meanwhile American Express Cardmembers can take advantage of the Amex Lounge, offering complimentary water, snacks and a private bar. Hungry already?? I am! Check out the schedule + get your tickets now starting at $19.